After my foraging trip I decided it was time to get serious about making a couple of carriers for my Sport Berkeys. The Berkey water bottle is great because there is a filter built right into it. No matter where you get your water from you know it will be clean and purified. 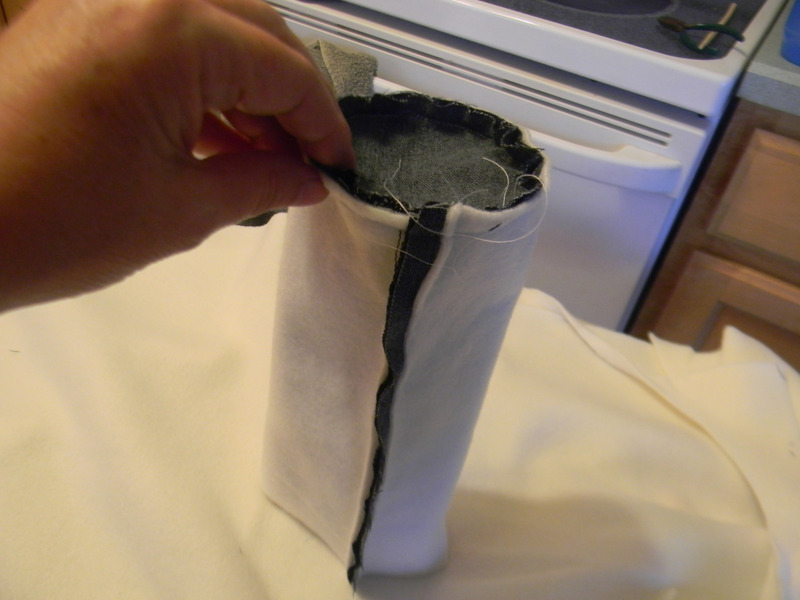 You will need 2 pieces of fabric big enough to make the inside, outside, and strap of your water bottle, a piece of fleece or batting for the lining and a piece of iron on vinyl . Using the iron on vinyl is optional but I think it is great stuff and keeps you carrier from getting wet if your water bottle sweats. 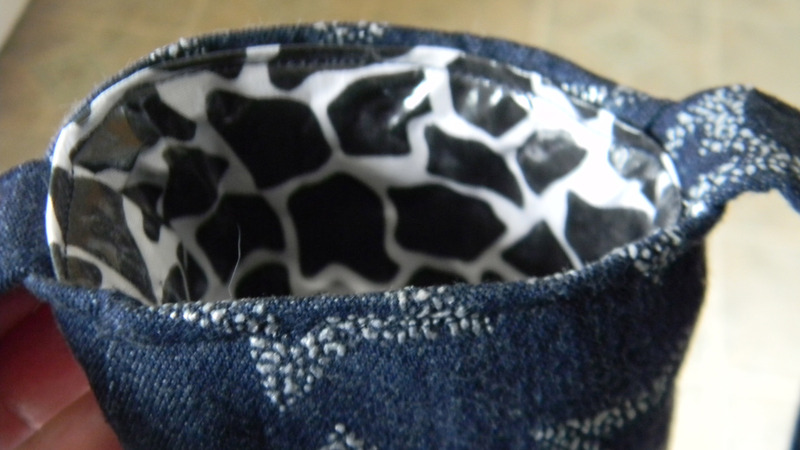 I used scraps of fabric I had on hand, a denim fabric with a raised metallic star pattern for the outside and a 100% cotton giraffe pattern for the inside. 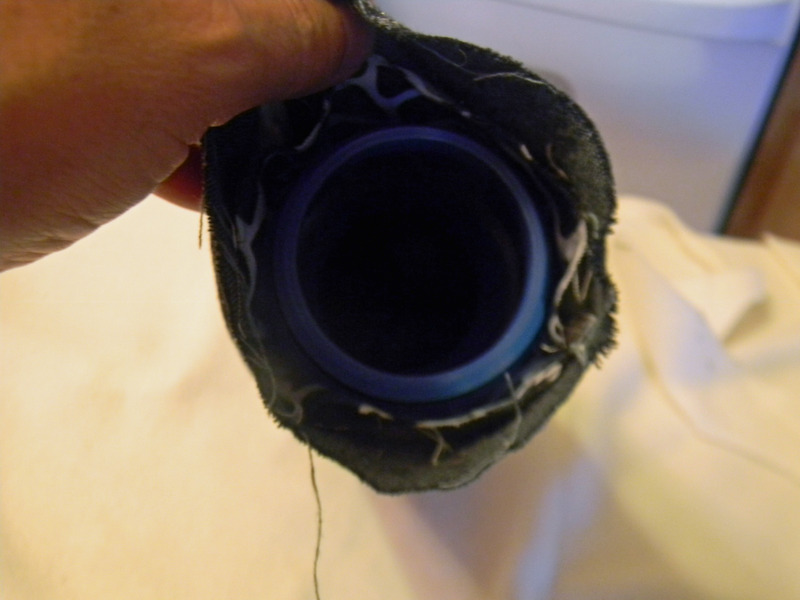 Make sure your fabrics have been pre-washed before starting, this excludes the lining and vinyl. 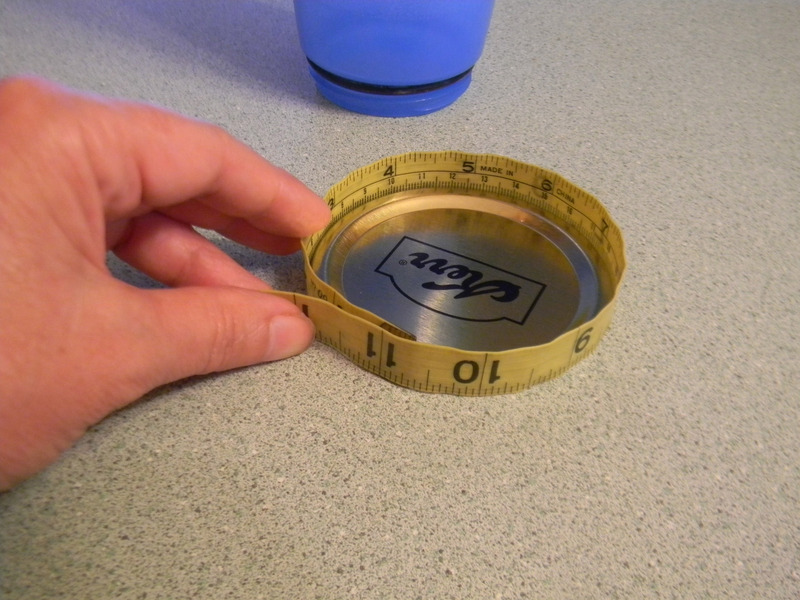 After I did my measurements I realized that I could use a canning jar lid for the pattern of the bottom of my carrier. 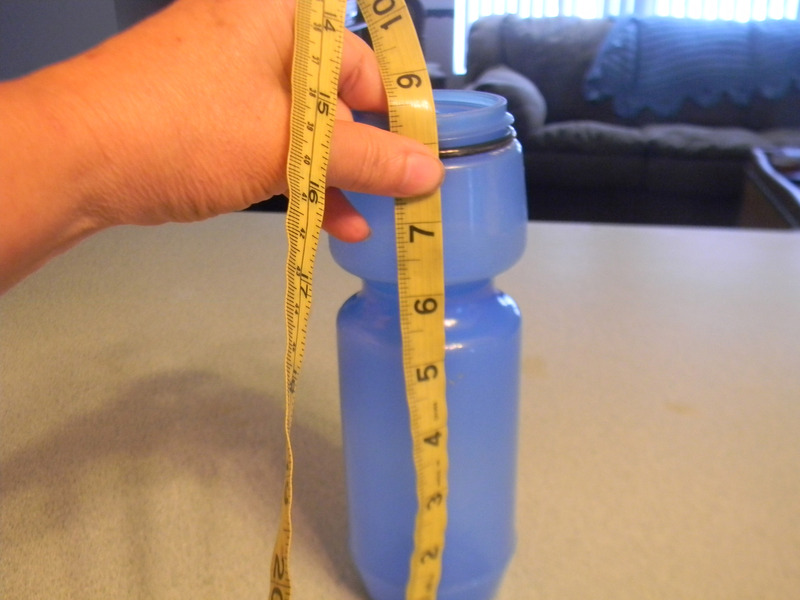 The circle for the bottom needs to be the circumference of your water bottle. 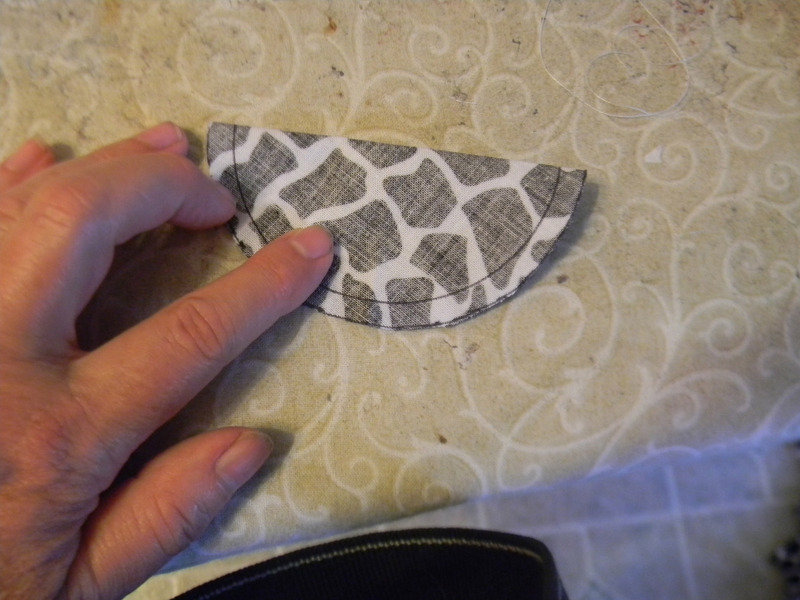 I used the lid to trace the pattern onto my fabric and then added 1/4″ for the inside piece and 1/2″ for the outside piece. 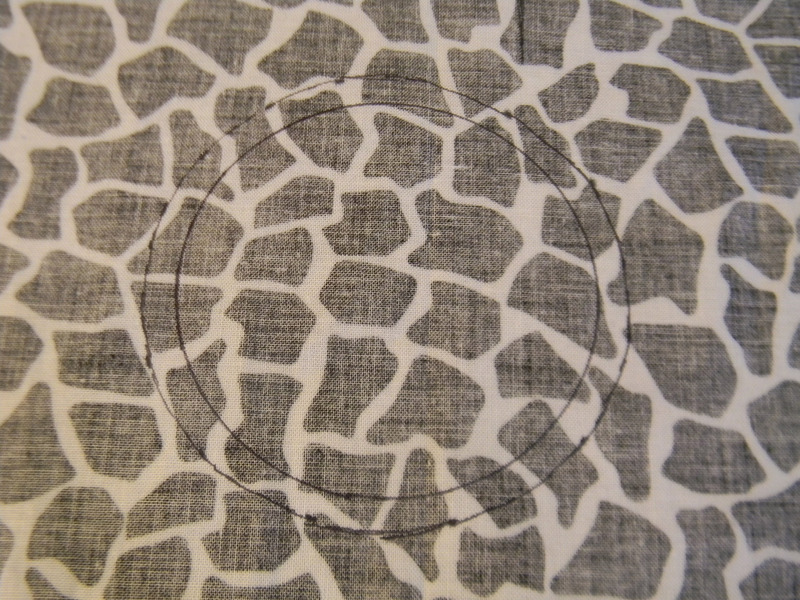 If you can’t find something that will work for a pattern you can use a pencil and compass. 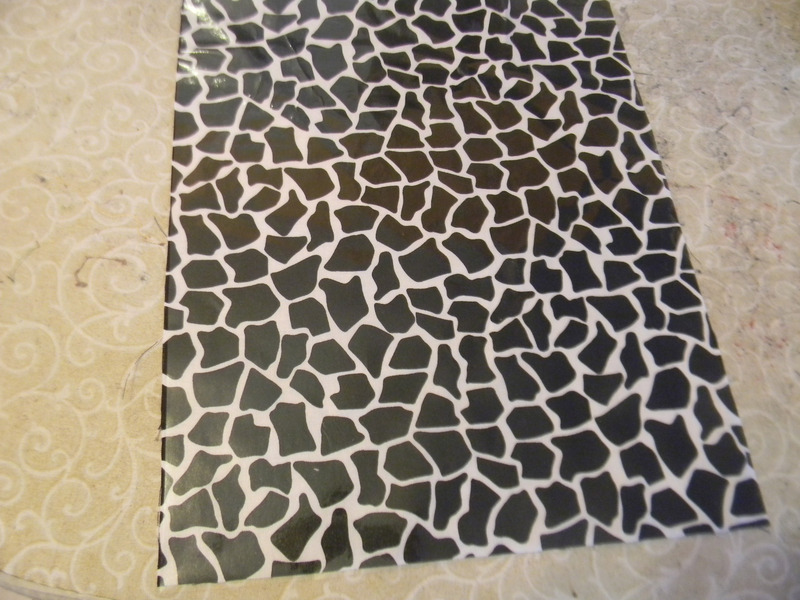 I then cut the side pieces of fabric per the measurements I took. 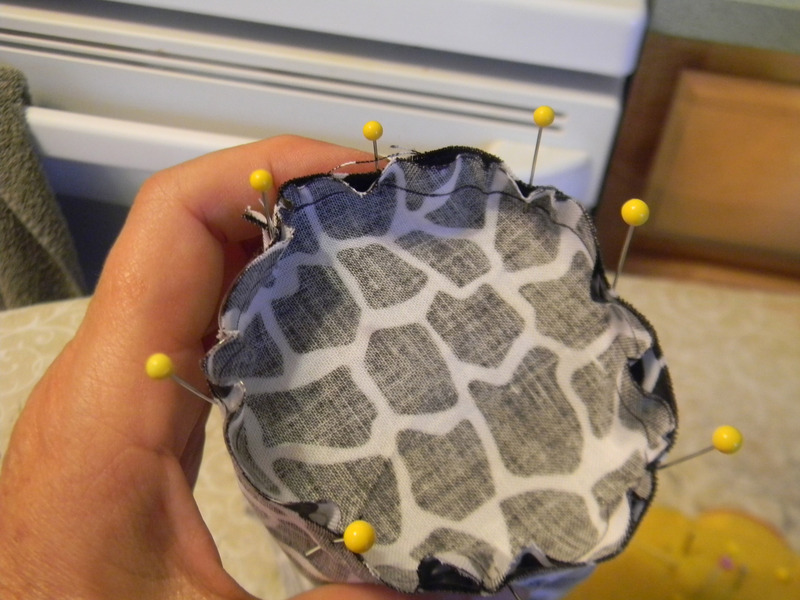 For the inside fabric piece I added 1/4″ to the top and bottom and 1/2″ to the sides . I cut the iron on vinyl the same size as these pieces. For the outside piece I added 1/4″ to the top and bottom and 3/4″ to the sides . The outside piece needs to be a bit larger than the inside piece so that it will fit over the inside piece without being tight. 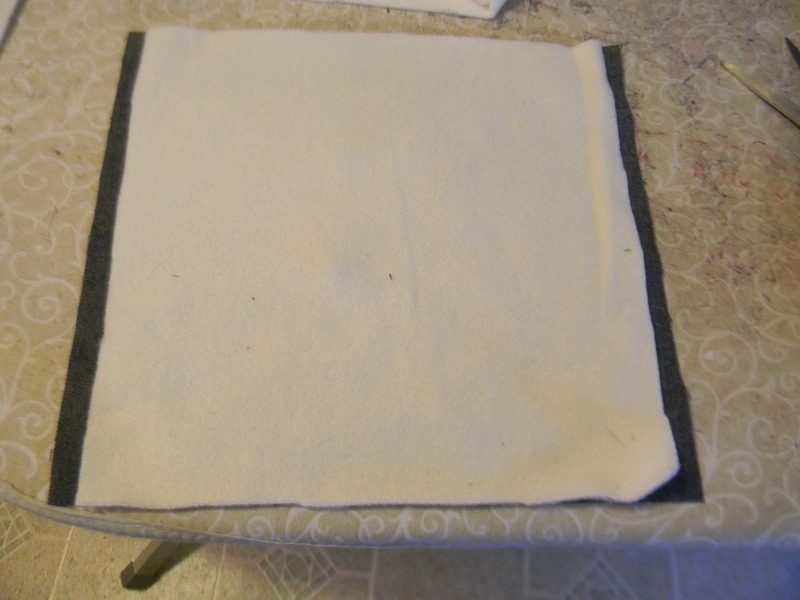 I cut the lining (fleece) the same size as the outside piece but excluded the 1/4″ at the top and bottom. 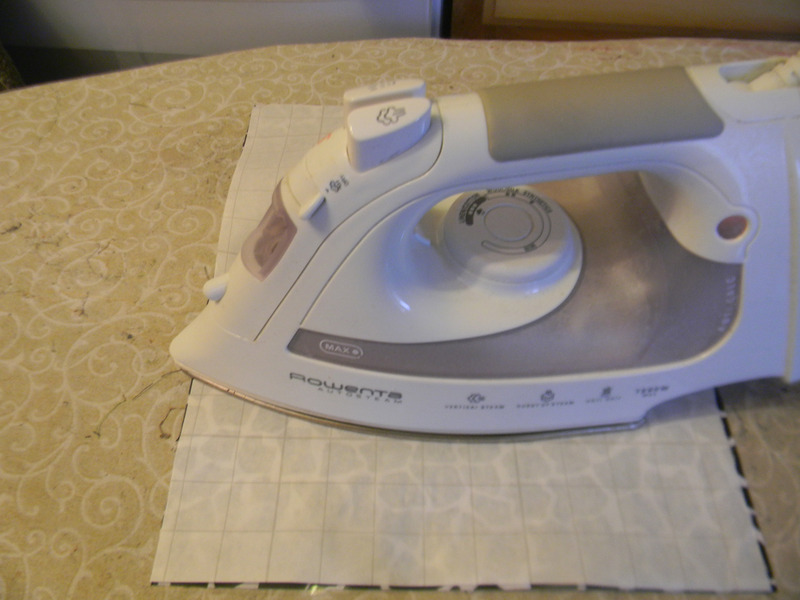 I then ironed on the vinyl to the bottom and side pieces of the inside fabric. 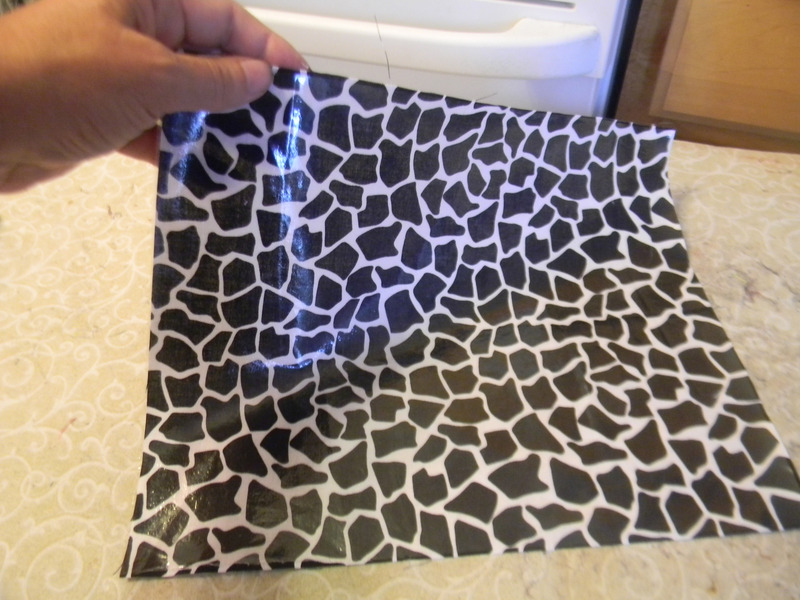 This was ironed onto the right sides of the fabric. 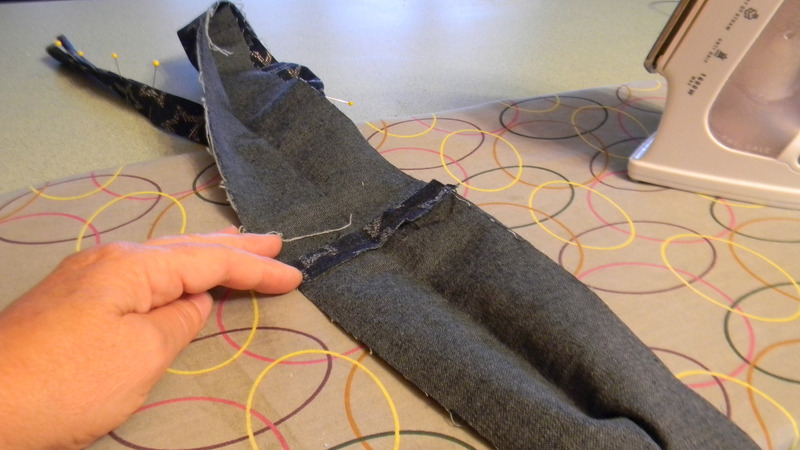 Then sew the side seam with right sides together with a 1/4″ seam. 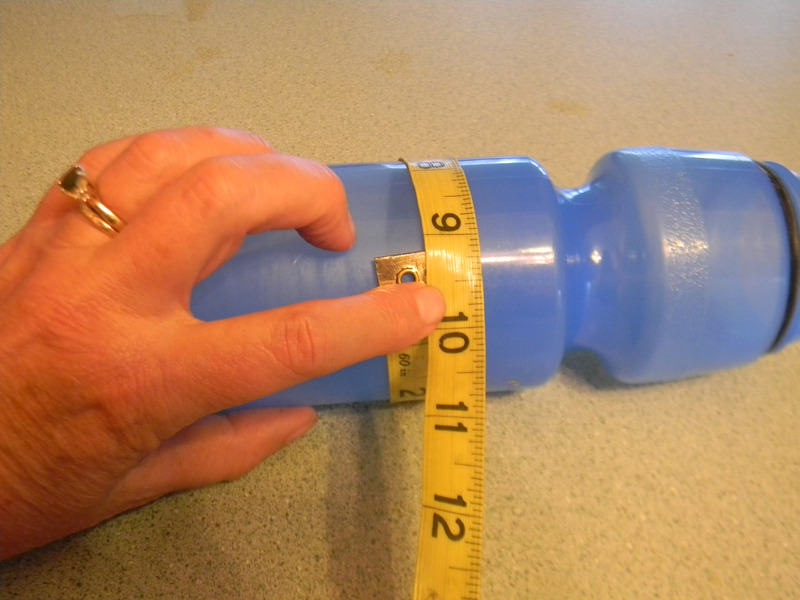 I placed my water bottle into this finished tube to make sure it would fix well before proceeding. I then marked the side circle and bottom circle into 4 equal pieces and marked with straight pins and then lined up the circles and pinned. 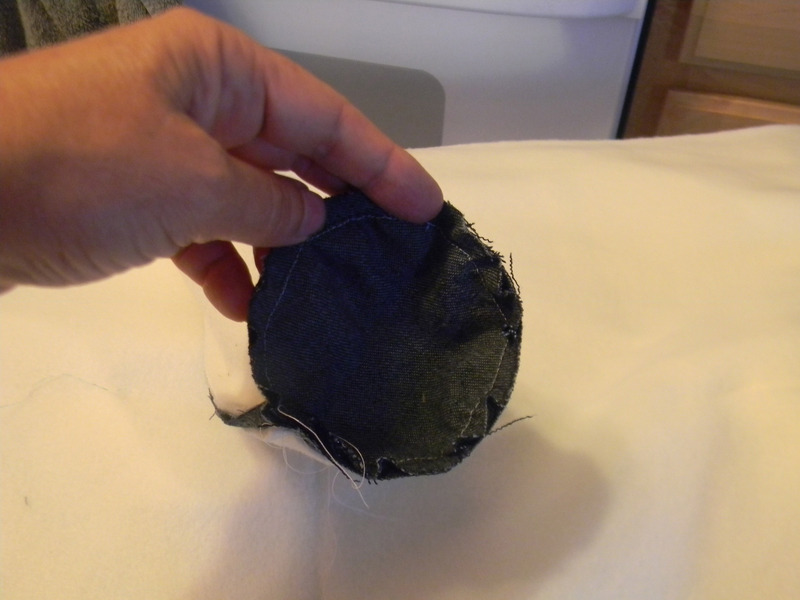 Now I sewed this piece with a 1/4″ seam. 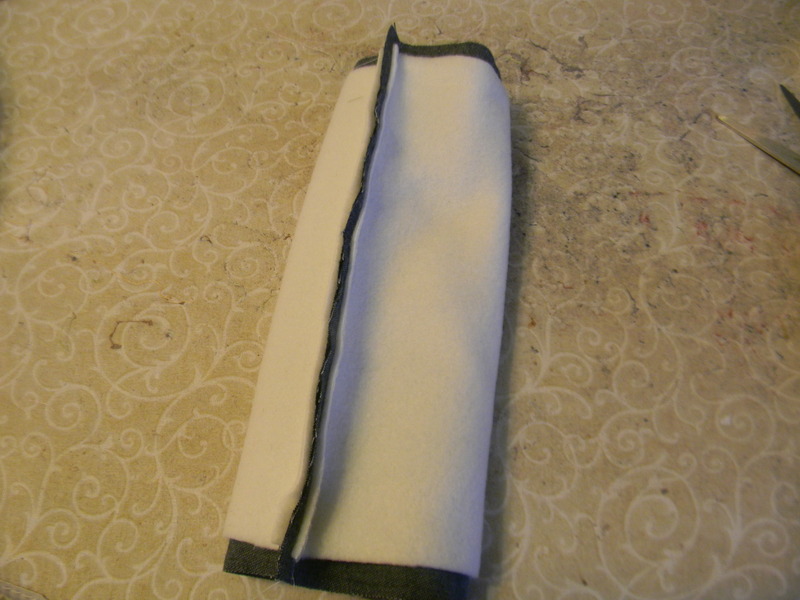 Next I sewed the outside pieces together the same way I sewed the inside but I sandwiched the lining piece. I then turned this piece inside out and slipped the inside piece inside and placed my water bottle in to make sure everything fit before the next step. 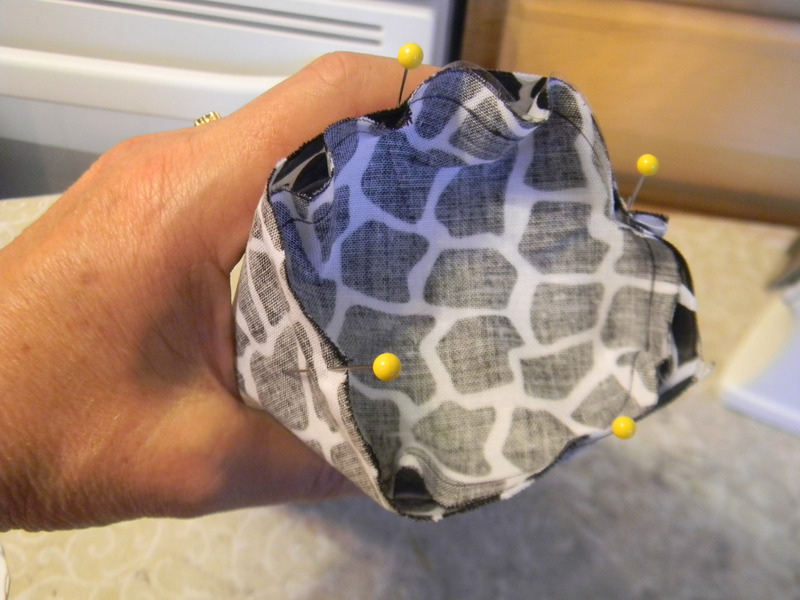 I then turned the top seams inside and pinned. 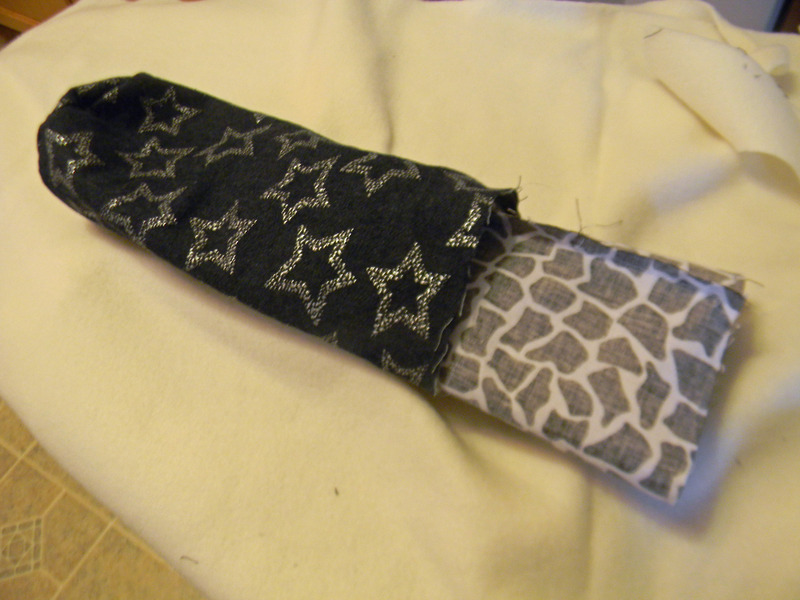 Sorry I forgot to take a picture of this step but here is a picture of the finished seam. 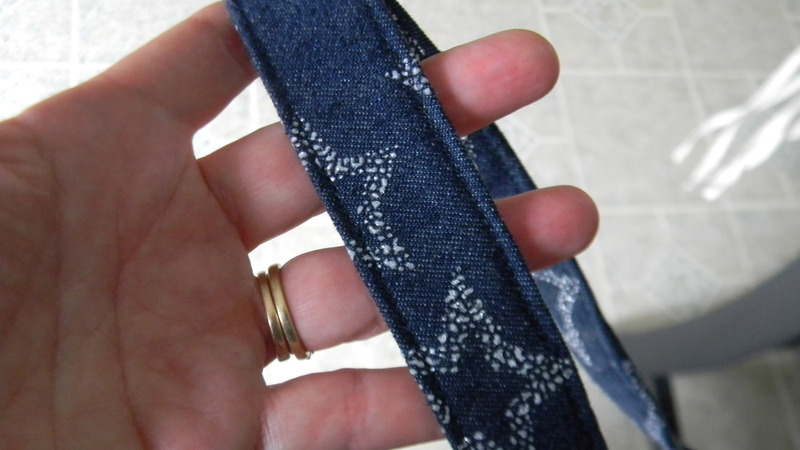 DO NOT SEW THIS SEAM UNTIL THE HANDLE IS ADDED. The next step was to make the handle. I wanted a piece 4″ wide and 50″ long. 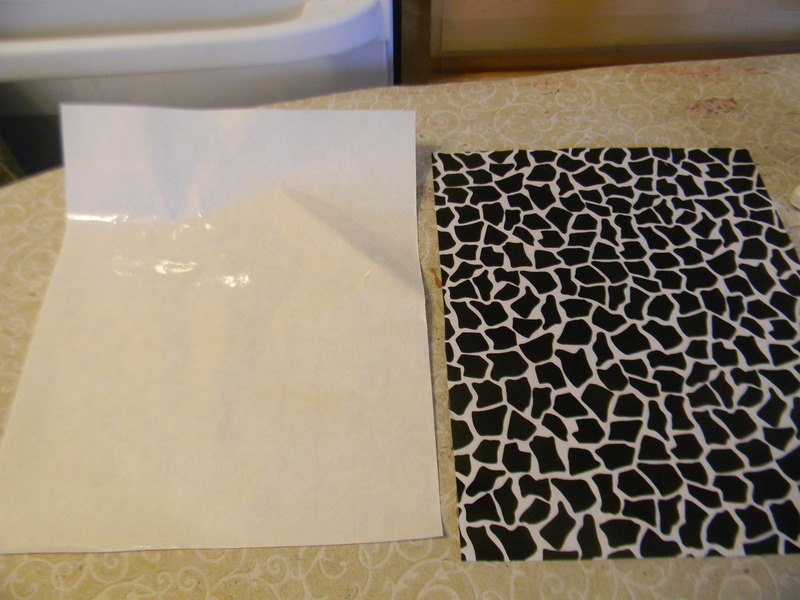 I did not have a piece 50″ long so I cut two 25 1/2″ pieces and sewed a seam. 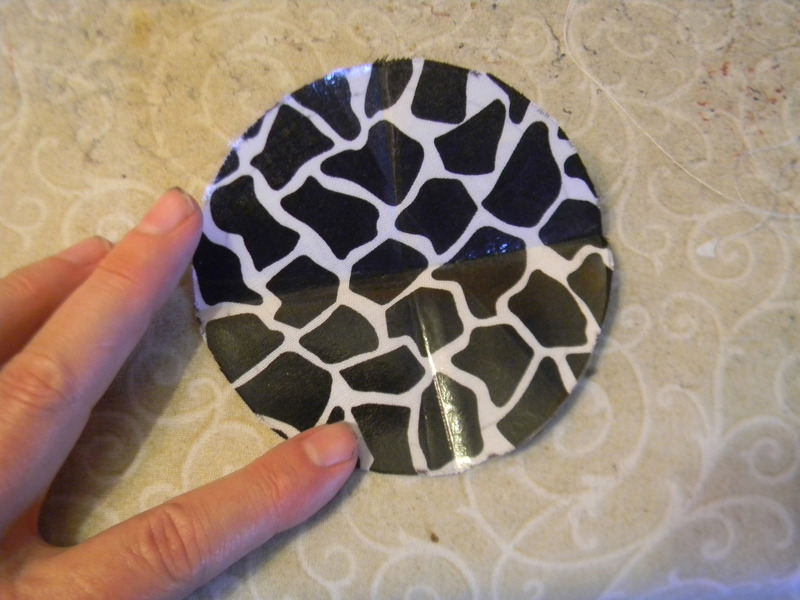 I then folded the piece in half and then folded each side into this fold. Next I folded this in half, its kind of like a sandwich. You can iron these folds but I was not able to with the fabric I used. 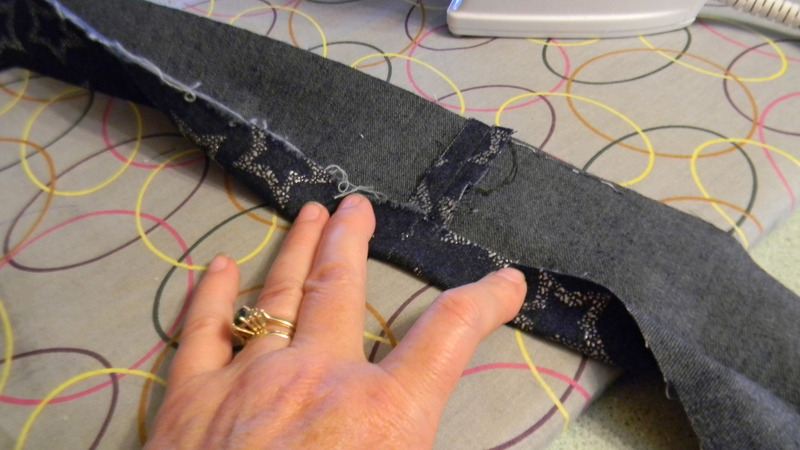 I pinned and then edge stitched each side. 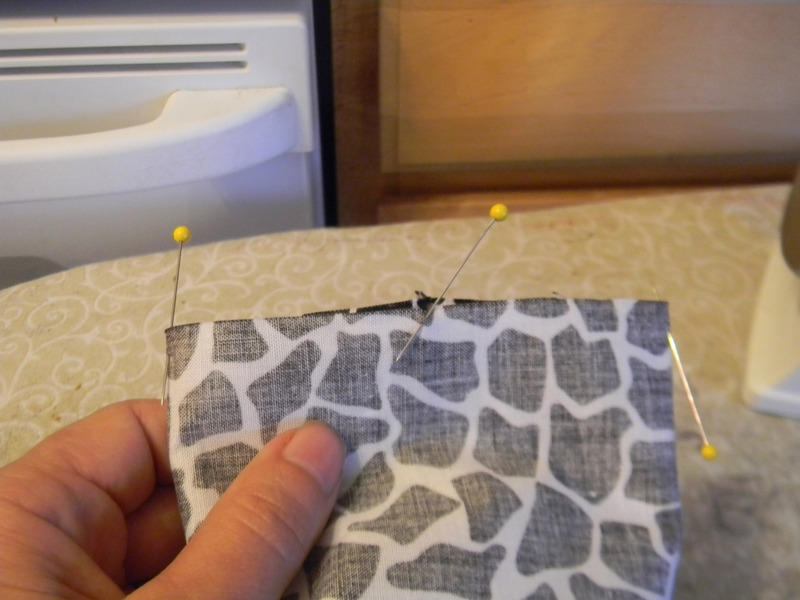 I then pinned the handle into the top seam and edge stitched this seam. All finished! 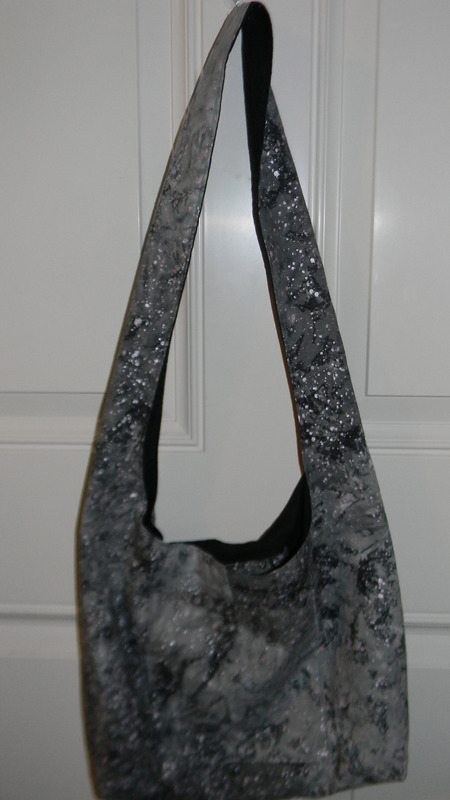 This entry was posted in Posts, Sewing and tagged Handmade water bottle carrier, homemade water bottle carrier, sewing, sewing a bottle carrier. Bookmark the permalink.